Shezad Dawood, Leviathan Cycle, Episode 1: Ben, production still, 2017, HD Video, 13' 30''. Courtesy of the artist and UBIK Productions. An exhibition of a new work by Shezad Dawood across two sites in Venice to coincide with the 57th Art Biennale (2017). The show marks the launch of Leviathan, a ten-part film cycle conceived and directed by Dawood that will unfold over the next three years. In dialogue with a wide range of marine biologists, oceanographers, political scientists, neurologists and trauma specialists, Leviathan explores notions of marine welfare, migration and mental health and their possible interconnections. 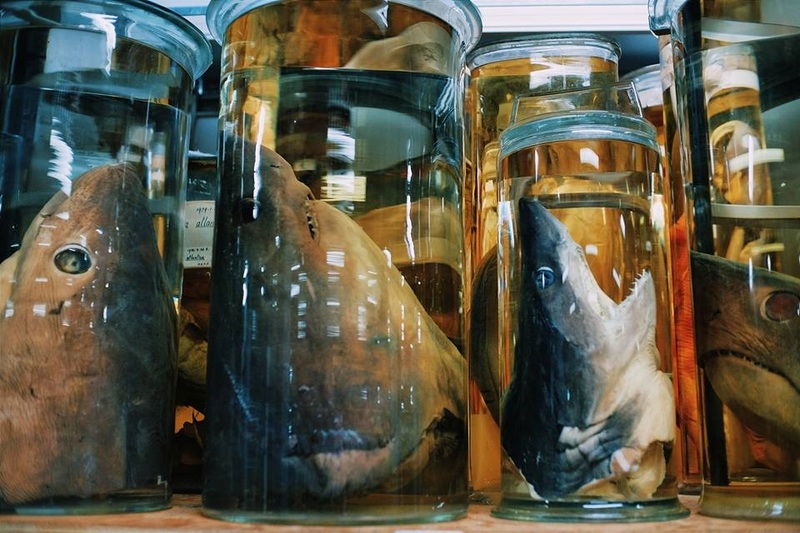 Episode one of the cycle, Ben, was commissioned by University of Salford Art Collection and Leviathan – Human and Marine Ecology, with support from The Contemporary Art Society. View the trailer for Ben.